Cable&Wireless Worldwide (CWW) opened a new data center in Uxbridge, UK. The new Tier III facility boasts a Power Usage Efficiency (PUE) rating of 1.25. It offers seven data halls across 30,000 square feet, including free air cooling, IL2 & IL3 status and additional data halls for further growth. Colt Technology Services has begun offering 100 Gigabit Ethernet (GbE) services over its pan-European long-haul fiber network using the Infinera DTN platform. Colt operates a 22-country, 43,000km network that includes metropolitan area networks in 39 major European cities with direct fiber connections into 18,000 buildings and 20 carrier neutral Colt data centers. Colt can now offer 100GbE services across this infrastructure. "As the company continues to transform from a traditional B2B telecoms operator to a provider of integrated IT and network services, enhancing our Ethernet services capabilities is key to delivering an end to end service experience that matches our customer’s agenda,” said Luke Broome, CTO at Colt. "Our use of the Infinera DTN to deliver 100GbE services on our long distance network will support customers with the highest performance demands in achieving their business priorities." Infinera noted that Colt first deployed its DTN in 2009 and that an early trial of 100GbE services over the London to Frankfurt route was completed in 2010. DISH issued a tersely worded press statement objecting to a draft FCC proposal on Band 23 spectrum that is reportedly circulating amongst FCC commissioners. DISH said the plan unfairly favors Sprint by requiring DISH to disable 25 percent of its uplink spectrum and impair another 25 percent of that spectrum to accommodate possible future use of neighboring H Block spectrum by Sprint. DISH has previously stated that it is prepared to launch a wireless business assuming the FCC delivers rules making it economically and technically feasible to do so. "While the FCC’s proposed order, based on reported accounts, does properly address some of the opportunities with this spectrum, it’s significantly flawed by introducing serious limitations that impair its utility,” said R. Stanton Dodge, DISH executive vice president and general counsel. “While the FCC would grant full terrestrial rights, its proposal to lower our power and emissions levels could cripple our ability to enter the business." 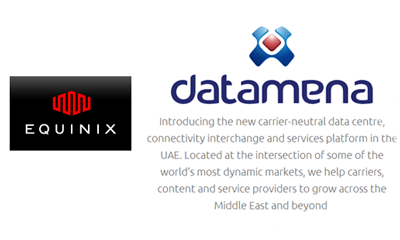 Equinix has formed a strategic alliance with Emirates Integrated Telecommunications (also known as du) to deliver data center and interconnection services to customers in the Middle East via a new carrier-neutral hub. As part of the deal, Equinix has acquired a newly built data center facility in Dubai. This new International Business Exchange (IBX) has capacity of 44,000 square feet and approximately 650 cabinets. The first phase of the data center is expected to be completed and open for business by January 1, 2013. Equinix expects to invest approximately US$40 million for the acquisition, upgrade and future expansion of this site. Additionally, du has created a new "datamena" -- a new transit zone, which allows international customers to host and distribute content, and to trade data capacity in a cost effective way. datamena services will only be available in the data centers in the alliance. Along with investments in the datamena hub, du has also secured the capability to offer its enterprise customers du managed data center services and data center capacity. In September 2012, DE-CIX, Frankfurt's massive Internet Exchange, announced a collaboration with UAE-IX, an Internet exchange in Dubai, United Arab Emirates (UAE). UAE-IX is a neutral Internet traffic exchange platform that interconnects global networks and, above all, network operators and content providers in the Gulf region. UAE-IX is using a fully redundant switching platform located in a neutral secure data center in Dubai. The new Internet Exchange will reduce latency times by up to 80 per cent and costs by up to 70 per cent for Gulf providers. The companies noted that many Internet service providers in the region have had to exchange their traffic via Europe, Asia or North America, leading to high latency rates. Initiated by the UAE’s Telecommunication Regulatory Authority (TRA) and supported by DE-CIX, UAE-IX delivers a highly available local alternative for regional traffic exchange, localizing Internet content. 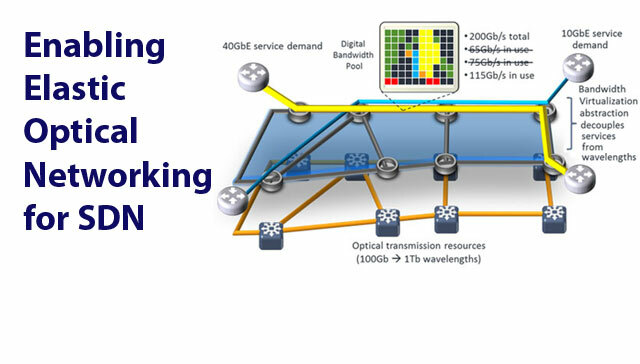 ADVA Optical Networking announced a strategic investment in Saguna Networks, a start-up based in Israel that develops Content Optimization Delivery Systems (CODS) technology. ADVA acquired a 10% stake in Saguna Networks for US$1 million. Saguna Network’s CODS works by loading the integrated cache servers in the cell site gateway or network interface device with popular content, thereby reducing backhaul traffic. The company said its approach provides better QoE while reducing operating costs by as much as 70%. 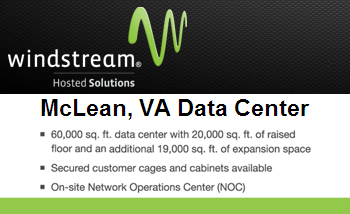 Windstream activated a new Mid-Atlantic data center in McLean, Virginia, boasting 65,000 square feet of total space and 45,000 square feet (4,200 m2) of raised floor space. The facility offers 2N power distribution and parallel multi-module uninterruptable power supplies (UPS). The data center is connected to multiple Windstream core POP sites via redundant OC-192 10Gbps circuits with no single point of failure. It also features a fully redundant core network gear within the data center and full level monitoring and security. Earlier this year, Windstream opened a state of the art data center in Little Rock, Arkansas. The company also operates data centers in another 18 cities across the country. LG U Plus (formerly LG Telecom) has deployed Alcatel-Lucent’s IP/MPLS platform in some of the Korea's major cities. The installation marks the first deployment of Alcatel-Lucent’s service routers in Korea using its FP3 400G processor. The LG U+ deployment uses the Alcatel-Lucent 7750 Service Router (SR) portfolio. Alcatel-Lucent noted that its Service Router portfolio has been adopted by more than 475 carriers with presence in over 110 countries. LG U+ has previously disclosed the selection of Samsung, Ericsson and Nokia Siemens Networks as key suppliers for its LTE rollout. 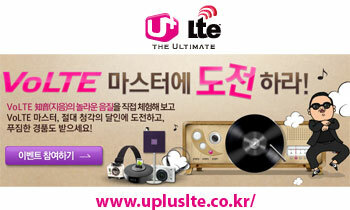 In August 2012, Korea's LG U+ announced the launch of commercial VoLTE service. LG U+ is using AMR-WB (Adaptive Multi Rate Wideband) voice codecs covering the 50MHz ~ 7GHz range. Call connection times are rated from 0.25 to 2.5 seconds, or up to 20 times faster that 3G call connection times. LG U+ is using QCI (QoS Class Identifier) ​​technology to ensure voice performance even during traffic spikes on the network. 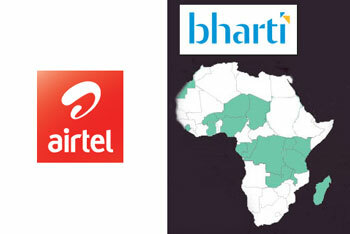 Bharti Airtel, which operates mobile networks in 16 African countries, has undertaken an end-to-end network transformation program with Ericsson. The project, which Ericsson describes as the largest of its kind on the African continent, involves the upgrade and expansion of network elements on all of Airtel’s African operations, including switching, radio, network management, data, charging, and consumer-services platforms and systems. In addition, a full upgrade of the charging platforms across all operations was implemented introducing the latest version of Ericsson’s Charging System, enabling Airtel to offer subscribers new and innovative value-added services such as mobile wallets. In 2011, Ericsson won a five year network management contract with Airtel. Lars Lindén, head of Ericsson Sub-Saharan Africa, says, "In the transition to a Networked Society in Africa, operators are facing growing challenges in meeting the rapidly evolving demands of consumers. The focus of this project was transforming Airtel Africa’s networks to meet current and future consumer demands." Dakota Carrier Network has deployed Ciena’s coherent optical technology to deliver 40G and 100G wavelength services across its statewide optical backbone. The installation uses Ciena’s 6500 Packet-Optical Platform equipped with WaveLogic coherent optical processors in an 88-channel DWDM ring. Ciena noted that its 100G solution has now been deployed by a number of independent and regional telecommunications providers in the U.S., including CapeNet, DC-Net, Sunset Digital and Sovernet, among others. DCN is the recipient of an approximately $10.8 million grant from the National Telecommunications and Information Administration’s (NTIA) Broadband Technology Opportunities Program. 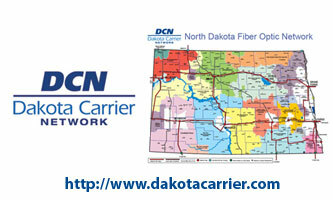 The grant, along with additional funding, has allowed DCN to design its regional optical backbone to support high-speed fiber connectivity and broadband services to rural and underserved North Dakota critical community institutions, including public safety entities, schools and government agencies. Orange will begin selling enterprise content delivery network (CDN) services using Akamai Technologies' optimization and acceleration solution. 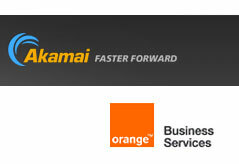 Orange Business Services will market these solutions initially in France. The companies have formed an innovation steering committee to identify areas of innovation in the field of CDN solutions.